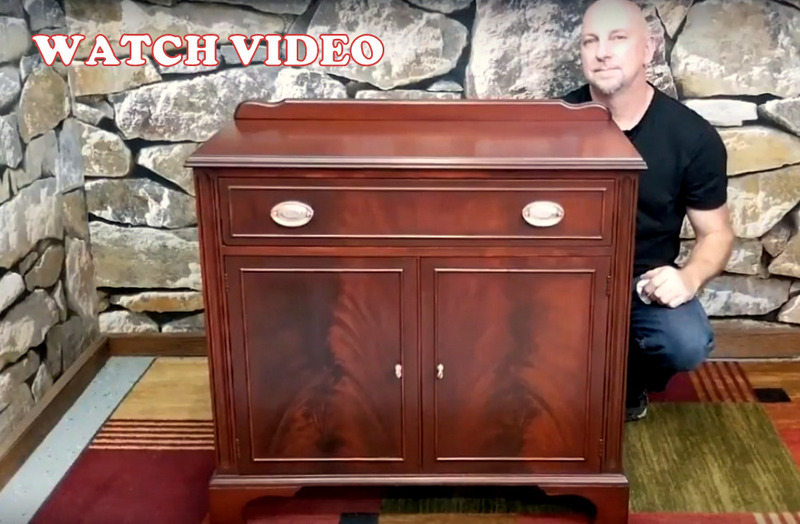 We hope this website will convey our rich diversity, and the joy we find in refinishing wood furniture. 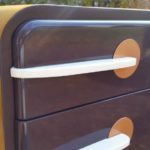 Furthermore, we hope that it will reflect our passion for furniture restoration and the exhilaration we find in resuscitating pieces seemingly past redemption. 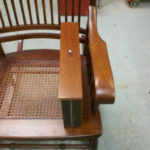 Coaxing furniture back to life or giving it a whole new look entirely, requires time, experience and patience. 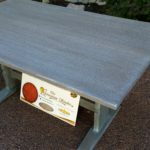 Whether we're rescuing a family heirloom, refinishing a kitchen table or painting a chair, we employ the same quality and craftsmanship into each job that has earned us the reputation of being The Best. We’ll custom mix and apply lacquer paints in any solid color you desire. We apply premium factory grade lacquer finishes in any stain color you prefer. 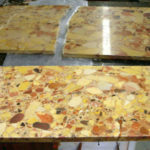 We can custom color match both stain and painted finishes. 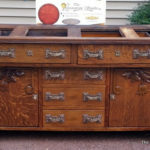 Whether it be a family heirloom, traditional antique or vintage furniture, we can restore it. 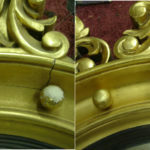 We can repair or restore antique and vintage gold leaf art and picture frames of all sizes and condition. 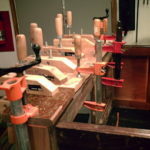 We’ll repair missing veneer, missing moldings, loose veneer, loose glue joints, gouges, breaks and more. 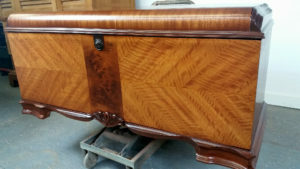 It happens many times each week –a customer decides to inquire about having a piece of furniture restored, but each experience is unique. 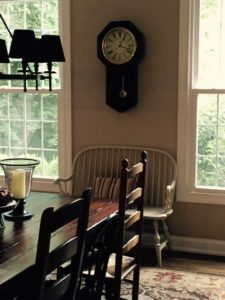 For over 25 years, The Restoration Studio LLC has been refinishing furniture and restoring antiques for residential and commercial clients throughout the Tri-State area. If you are looking for a Refinisher or Restorer, you've come to the right place. 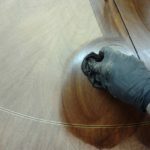 Within The Studio's extensive website, you will find over 100 photos of our work, with many before and after pictures of various style furnishings and antiques we have either refinished, repaired or restored. 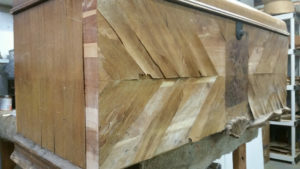 Over the past 31 years, renowned refinisher and restorer Rodney Keyser has been refinishing high quality interior furnishings for both residential and commercial customers. We first opened for business in 1990, and have served over 7000 satisfied customers from all over the Tri-State area. A family run business, we feel truly blessed to do what we do. 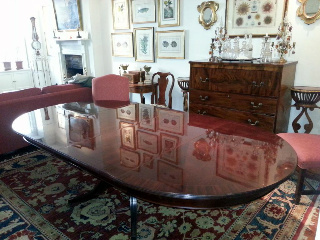 It's not unusual for us to be given the opportunity to restore a family heirloom for a client. Not just a piece of furniture, but a piece of family history. Sentimental attachment to an item can be a powerful emotion. The reaction we get on delivery is what makes our job so amazing! We have been hugged, kissed, and yes... we have even seen grown men cry. 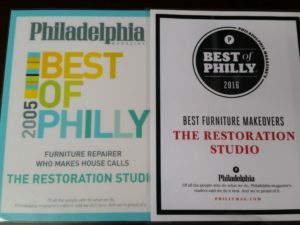 Of all the people who do what we do, Philly Magazines says we do it best! 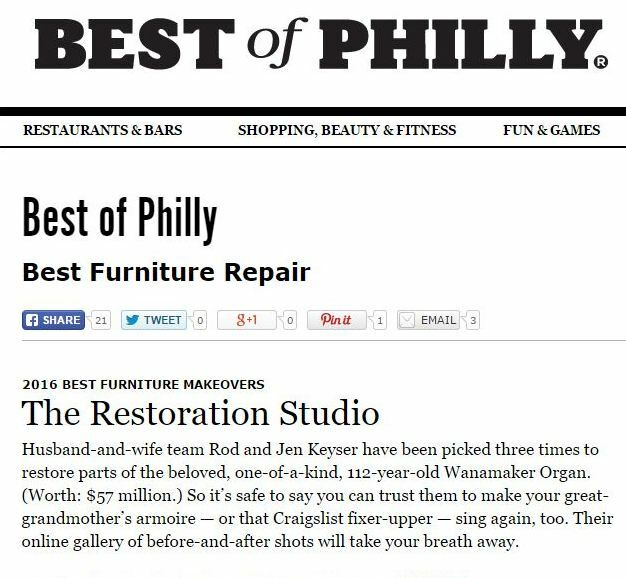 Back in 2005, we were chosen for Best Of Philly for the first time. This was 15 years after we first opened for business. It then took another 11 years to be selected again, but we made it back in 2016 ! We were truly humbled and honored both times, as we understand the magnitude of the selection, and number of businesses to be considered. 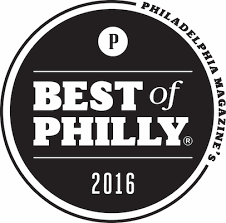 Thank You Philadelphia Magazine ! !